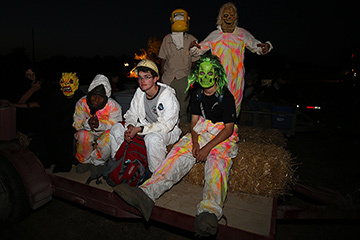 If your Troop or Crew would like to camp at SR2 or Tahuaya in the month of October during a Fall Festival, or if you are attending Score-O, bring your scariest costume and help the Haunted staff spook the Cub Scouts on the Haunted Hayrides. 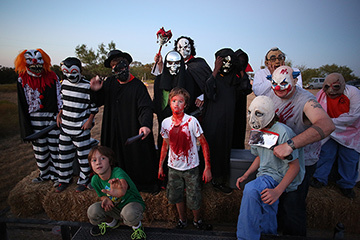 Bring your own costume or check out costumes from the hayride staff. 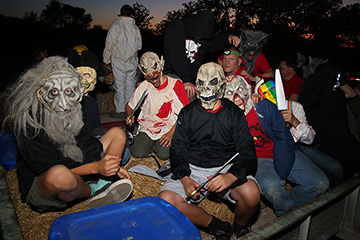 Help with the fall Festival activities during the afternoon, or just staff the hayride. Spooks ride our tractors out to their assign spooking locations. 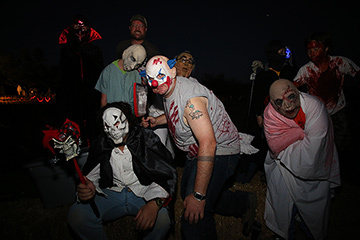 The Hayride Director will assign a trail location for you to spook on. Report to the Costume Checkout area by 7 PM to check out costumes and get a spooking assignment. Be sure to take flashlights, water, and (for adults) lawn chairs. Contact camping@longhorn.org to sign up. SR2 weekends: Oct. 8, 15, 22. Tahuaya weekends: Oct. 15, 22. 2017-2018 Scouts BSA Program Calendar.